The Naval Justice School is in the process of searching for a company to provide Role Player services as witnesses and victims for mock trial court-martial scenarios. We are in need of 14 Role players. 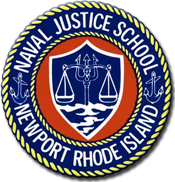 The mock trials will be performed at Naval Justice School in Newport, Rhode Island. Mock Trial scenarios will run for 15 days, three times per year. If you are a professional actor, living within 50 miles of the Naval Justice School, (360 Easton St., Newport, RI 02840) please send your headshot and resume to: PMendez@camris.com. In the subject line, please include: NJS Mock Trial Role Players. We will accept resumes through September 04, 2017. Please do not contact the Naval Justice School with questions. Hi my name is Latoya. I am 35 an I’m interested in the next casting.